Hello October! I was thinking the other day, I bet if you polled the entire country, October would win America's favorite month. People go nuts for this month, and I'm right there with them. 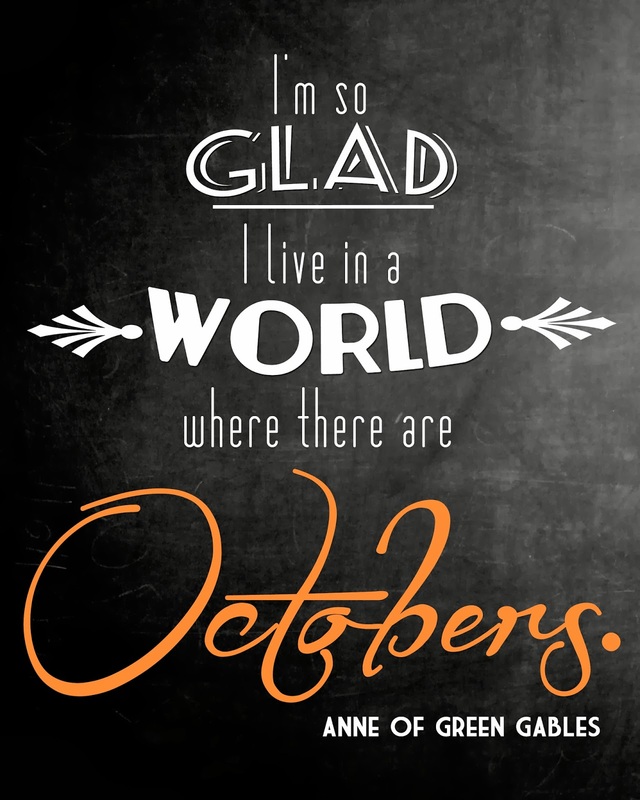 There really is something so magical about the month of October! 1. Do a gallery wall for my office. Check! And yall, I absolutely love it! Full post with pictures here. 2. Host a football party. Fail. We had every intention of doing this, but Parker was gone two weekends in September and I was gone one, so time was not on our side. We did have people over, so I suppose that counts for something (ish). 3. Get a haircut. Check! Well, I got a haircut, but it was probably the worst haircut I have ever received. 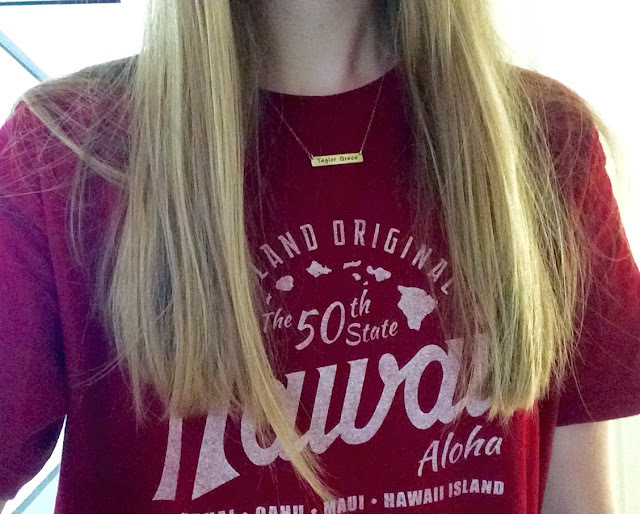 My hairdresser forgot a nice chunk in the middle, as I have pictured below. I have learned my lesson and will go to a legit salon next time (I really thought this one was going to be a good one though!). I had to give myself a little trim when I got home just to even it out! 4. Do 2000 crunches. Check! Okay, if I am being completely honest, I had to do 200 on Oct. 1 to complete this goal. Whatevs, we're counting it. And now for October's goals! 1. Organize my closet. It's time to move the sweaters and jackets to the front and the tank tops to the back! This also means I am about to not be able to wear shorts every day... someone hold me. 2. Do 1500 squats. This comes out to about 50 per day. Totally manageable... until I go 5 days without remembering to do them. Here goes nothing! 3. Go. See. Taylor. Swift. Ahhh! It's finally October which means it's the month of TSwift! Yes yes yes! 4. Take our Christmas picture. I always try to knock this out in October so I have plenty of time to order them and send them out the day after Thanksgiving. 5. Read the book of Ephesians. I want to start reading a book of the Bible each month and being intentional about learning from that book. I went with the first book that came to me... so here we go, Ephesians. 6. Be flexible. This one is vague, but it's an internal goal for me this month. The Navy is trying my patience as of late and has been putting that whole "absence makes the heart grow fonder" thing to the test, so my goal this month is to be flexible and appreciate the time Parker and I do get together. The "someone always has it worse" mentality really helps me with this. When things get annoying or frustrating, I try to look at the bigger picture and realize my problem is nothing compared to what some people are going through in their lives right now. This helps, yall. That's it for goals! What do you want to accomplish this month? I totally forgot about switching over my summer and winter clothes! I love handwritten notes too. 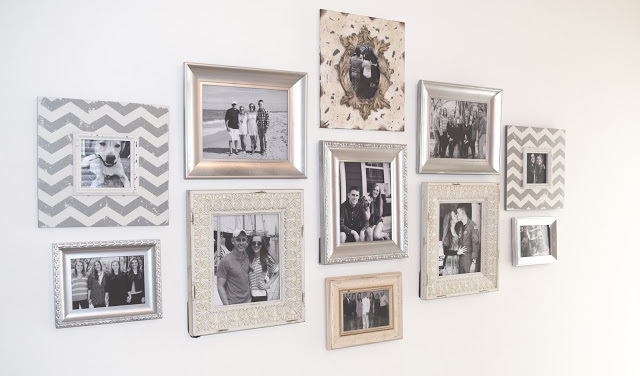 I love these goals, especially the gallery wall you made! I'm hoping to get back in the habit of reading the daily Bible readings according to the Catholic church. I can't really go to mass because it's so painful for me (I mean have you ever sat in a pew?) so I like to do that. But I've been out of the habit the past couple of months? I also like to journal a little about the reading, which is a nice way to journal. The Texas in me will not allow me to give up my shorts yet. I will cling to my shorts-wearing days until my legs freeze off, or December - whichever comes first. I still wear them, yet I'm freezing already; NC is cold to me! LOVE your gallery wall. I am so jealous you are seeing T Swift... it will be amazing! I have lots of internal goals. I think vague goals are the best sometimes. Good luck this month! Ah, totally jealous of the TSwift concert!!! have fun!! soooo excited for your tswift concert! ANDDD Ephesians is so good!